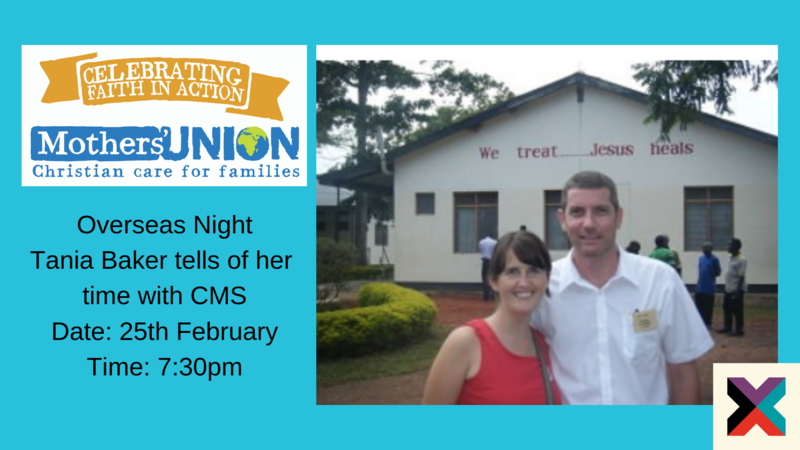 Join us for a special evening with guest speaker Tania Baker, who will be sharing about her time serving with CMS in Kiwoko Hospital in Uganda. Mothers’ Union helps put faith into action and help people across the World. The evening ends with tea, treats and chat. Come along and make new friends.